So, it's been a minute. I've been trying to re-find my momentum for a while. It hasn't happened. There are a myriad of reasons and excuses, but the bottom line is that I need to protect my long-term health, and a sedentery lifestyle is what I've been successfully trying to avoid for the past six years, but it's what I've been pulled back to over the past few months. I grew up a skinny teenager but got fat in college through beer and bad habits. I stayed that way until my mid-Forties, tipping the scales at around 260lbs at 5ft10in. In 2012 I joined a gym and lost a whole bunch of that weight and began to gain some strength and regained some athleticism. I enjoyed working out but had few goals and was just kind of coasting along, gaining and losing the same five pounds and not really adding strength or endurance. And then, in 2014, I started Obstacle Racing, doing my first Spartan Race in September. I was hooked. 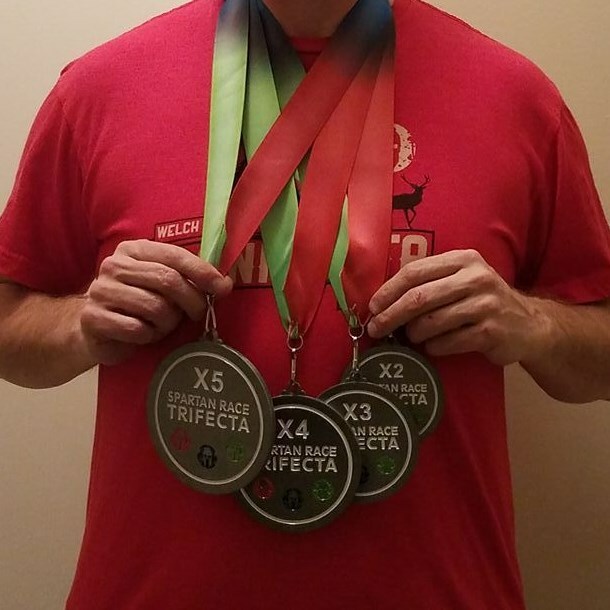 In 2015 I completed two Spartan Trifectas, falling short of my third Trifecta on the last weekend of the year due to illness. I was irritated at not reaching that goal and completed 5x Trifecta in 2016 while completing a number of other events and some road races. 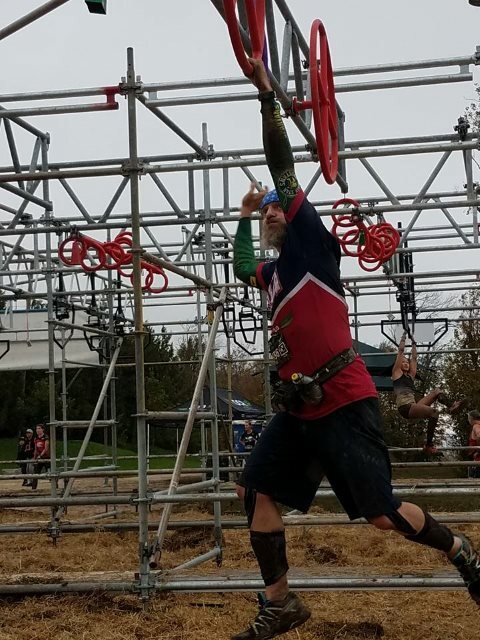 In 2017, I realized I was getting good at this for an old man and qualified for OCR World Championships as an age group competitor in the Over-50 Men's group. It was by far my most successful year as a "competitive" racer and I was as fast as I have ever been, mostly due to consistency and work ethic. I traveled to Toronto, Ontario and competed with my peers for 9 miles up and down a ski hill in the rain. This was the height of my Jedi powers. I remained active for the first part of 2018, but gained weight, lost a little speed, and even though I qualified again for OCR World Championships this past year, could not attend. The combination of pain, injury and disappointment de-railed me. I let my scheduling issues get the best of me. I've lost a significant amount of muscle mass and nearly all of my cardio fitness. I've allowed some of my mental health issues - depression, anxiety - to re-surface and get the better of me. It's time to take the long road back. During the last weekend of October and the first weekend of November I will be competing in Spartan Races on back-to-back weekends on different continents. That's a LOT of miles to rack up in an eight-day period for someone who has not run anywhere of any distance since December, and before that September. Thankfully, I have a tried-and-true training and nutrition plan. Also, for the first time in three years, I am going to be focusing on treating myself with kindness and not just "allowing" for goals that include self-care, but making it a priority. Usually I put this as my "third" goal, but I'm putting this in the first slot because without proper nutrition, everything else may as well just go by the wayside. I know how to eat right - plenty of quality, lean protein (chicken, pork, fish) with real fruit and vegetables and quality carbohydrates. I normally have a training macro goal. For this challenge I'm going to start by logging my food - every bit that goes in my mouth - and start dialing in my nutritional goals based on my real activity. I'll add specific training macros as I go along, but only after this goes well. Goal: Track my food intake every day and report it here. Track total calories, protein, fiber and sodium as these are the biggest macro issues for me. When I started working out, I was going to the gym two to four times a week and mostly doing Boot Camp workouts. I eventually fell in love with free weights and enjoy strength training, but I also have arthritis and chronic tendinitis and my joints tend to fight against me because I'm a heavy guy for my size and they take a lot of pounding. I have a gym that I have belonged to for six years and I need to start getting my money's worth out of the membership. I will start slowly and ease back into what I know I'm capable of as not to injure myself and be done before I get started. Goal: Full-body strength workouts two to three times per week. I actually enjoy trail running, but there's not going to be any of that in Minnesota for me for a while as I just do not enjoy outdoor winter running. If I'm going to complete the Spartan Ultra in Glen Rose Texas in October, I'm going to have to be able to make specific time hacks or I will be removed from the course. I've never received a DNF in an Obstacle Course race. I'm not going to start now. I'm going to ease back in as I stated above with my strength goal. Goal: Start my distance running plan at the novice level: 3x per week, no more than 3 miles per day. I'm socially awkward at best and struggle with social anxiety daily. I also have lived with depression and anxiety and in the past have been treated (medicated) for symptoms. I haven't needed that level of help in the past few years as I have successfully self-treated with nutrition, exercise and a healthy dose of service to others. However, the scales are waaaaay out of whack right now and I am dangerously close to some bad places. Fortunately, I also spent a lot of years paying a lot of professionals to help me develop healthy coping habits. It's time to exercise some of those, daily, to regain my equilibrium, and if I can't, it's time to seek out professionals to help. Goal: Practice one tanglble act of self-care daily and report on it. I will be leaving Wednesday afternoon of Week 1 on a 1,500 mile road trip to Florida, to delivery my partner/GF and her vehicle to her month-long break from our Minnesota winter. She works remotely and this will be the second year in a row that we are doing this and I suspect it will become an annual tradition. I will fly back Saturday night, but there will be a couple long days in the car during the trip. I need to roll with this and not get anxiety over the fact that for two days at the beginning of this challenge I will not be able to meet my goals. I try to always have something on the docket to keep me focused. I will be attending the Central Florida Terrain Race on Saturday morning, partly because its' five minutes from where we are staying on our trip to Florida. I am in no way trained for this event. I am going to show up, run, get a gauge of what goes well and what doesn't, I'm going to be kind to myself if things go as badly as they could, and enjoy the experience regardless of how I perform. I'm going to be kind to myself above all else during this challenge, but I need this to get myself jump-started and back to being the best me that I have been as an adult. I know it's possible as I've done it, and recently. I'll likely need some accountability to keep my focus on my long-term goals. Above all, it's good to be home. Welcome back. I'm very glad to see you. We are the Ranger Corps. We are the trackers of the rebellion. You cannot run. You cannot hide. We will find you, and we will love you. It's good to have you back. And Sparta? Wow. Eric’s back! All is right in the world again. Glad to see you back. I too have slipped to the dark side and am back to jump start this year. Welcome back! You have always been one of my idols on the rangers - I'm just a few years younger than you, and just want to complete an OCR without serious injury. I'm glad to hear that self-care is at the top of your list. Have fun at the race tomorrow! Enjoy the run tomorrow. Getting that baseline will be the perfect place to start from on this journey! How did the race go?